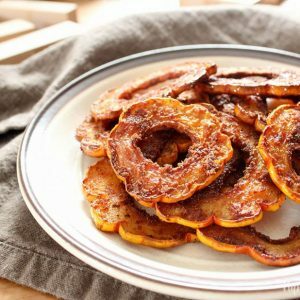 These simple to make crisps are flavourful, crisp and great for when you have an abundant of squash that want to do something different with during the autumn. Squash is a mystery to me. I never really used it in cooking (or really ate it) since it is not very common in Chinese cuisines (that I know of), so I was never really exposed to it as a child. It was only when I moved out on my own, that I noticed that they were popping up everywhere during the autumn seasons – they were in the supermarkets, being at farmers markets by the basket, at the local convenience stores, even on our very own door steps for Halloween time. I used a mandolin to make these flowered looking cuts to keep the shape more uniform — there goes my OCD — but you can use a knife to do this as well. Just be very careful, these little buggers are tough to cut! 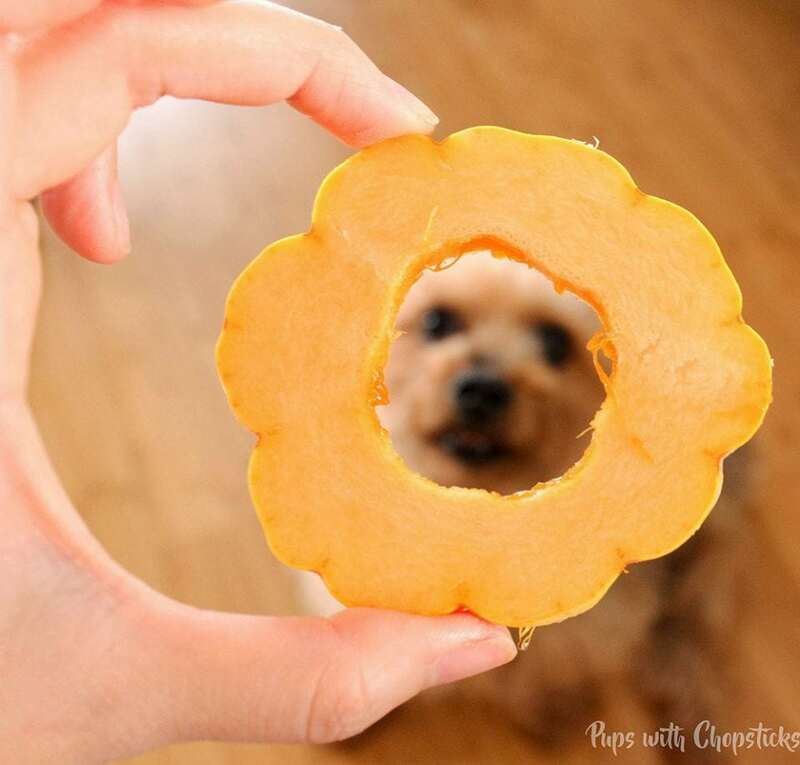 If you want to keep the ring shape, I found it easiest to cut a few slices off the end first, then scoop out the seeds and then continue to cut out the rest of the slices. I cut them about 1/8 inch thick and they took about 45-60 mins to brown and crisp up. I found them tricky to crisp up with all the moisture in this veg. You need to make sure the squash are all coated nicely with oil (essentially we are deep frying it in the oven) and try to refrain from touching them too much so they can form a nice crust. Don’t throw away these seeds! You can toast them up with some oil, some spice of your choice for a crispy snack as well! To get the squash crispy, this is a must: Pre-heat a cookie sheet with oil hot before putting the squash on. This will help it instantly cook and sear in some crisp, else the squash will just chill out all mellow and soften on a cool pan and it won’t crisp up properly. Keep a close eye on these as well. Burn crisp are gross and bittter, not to be confused with browned caramelized crisp though! That is flavour and delicious. 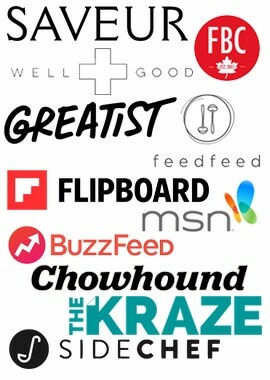 Why you will love it? Because it is so simple to make! I feel guilty to even call it a recipe. 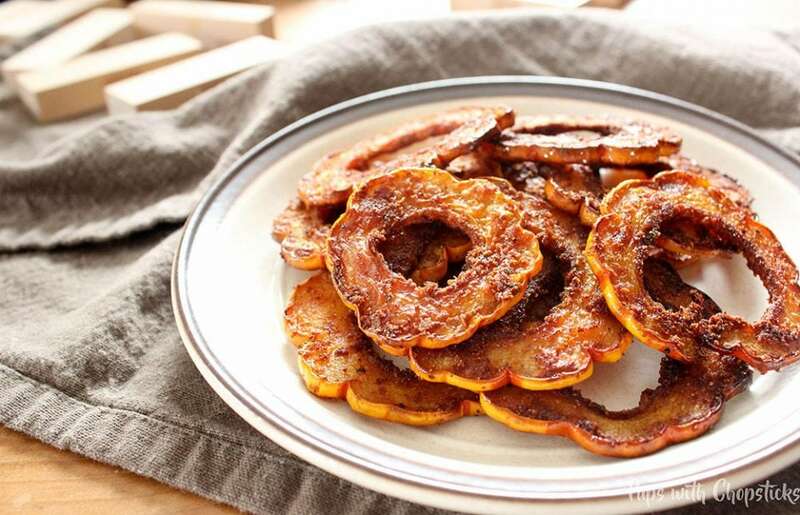 The caramelization produced a nice dark flavour with a tinge of the natural sweetness from the squash itself. 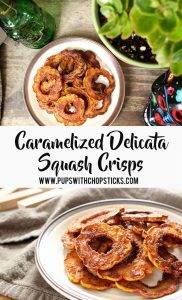 Great bite sized snacks or side dish.. I haven’t tried making it without other types of squashes (acorn, butternut etc) but I am sure they would turn out just as delish. Maybe someone can try it out and let me know below how it turned out! Squash, I like it – but I still feel like a full n00b in this category. 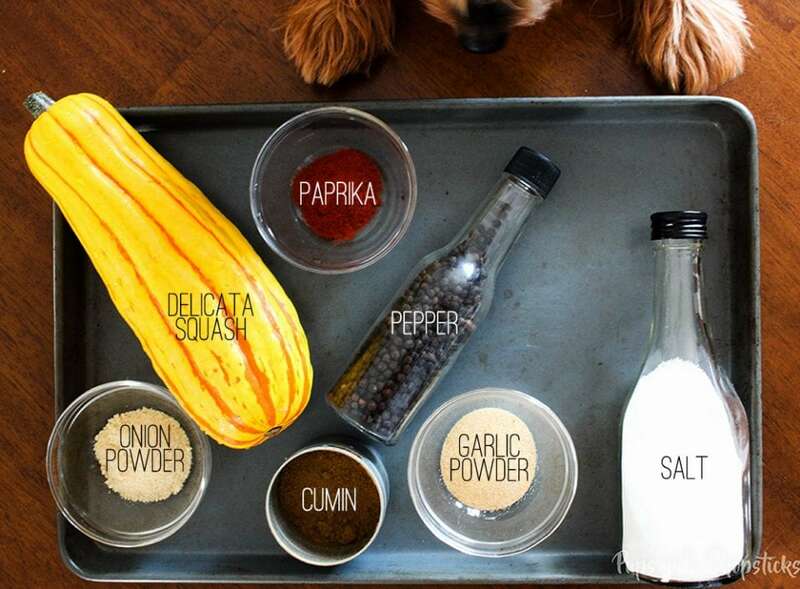 What are some cool and delish ways you like making squash? Maybe curried? (oh! my next experiment! pwahaha) Oh! If anyone has any tips on how to cut these monsters without lopping off fingers, please please let me know your magic! 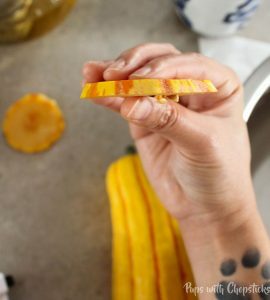 These simple to make crisps are flavourful, crisp and great for when you have an abundant of squash that want to do something different with! 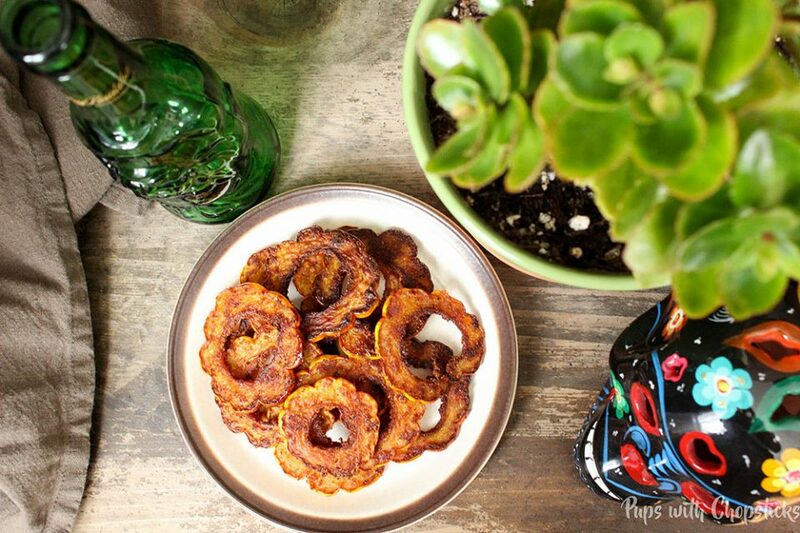 I cut these in my spiralizer with the slice blade. Trying these for the first time. Hoping to eat more veggies and these sounded good!